Pagani Zonda 764 Passione - The Final Zonda! 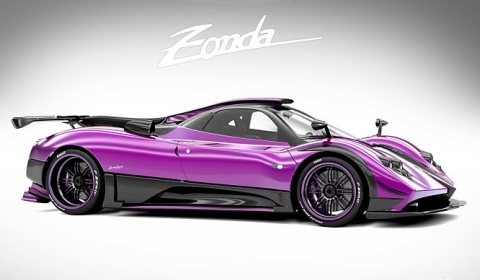 Rumours are circulating that suggest Pagani are building the final Zonda. It’s apparently based on an existing Zonda F chassis with the same engine upgrades as the 760 RS and 760 LH received. However, the owner wanted to give it an extra-special name, hence it is called the Pagani Zonda 764 Passione! 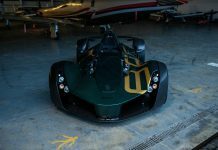 Details sourced through a Teamspeed user suggest that the car will be finished in naked carbon fiber with pink accents. According to the source, he spotted a set of pink brake calipers and the word Passione etched in pink onto the valve covers. 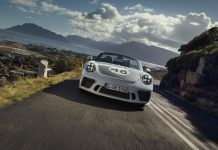 We’ve also managed to reveal that the Passione will feature a manual transmission, exactly the same as the Hamilton car. That’s all the details we have for the Pagani Zonda 764 Passione. It will definitely be the final production Zonda as the AMG engines are no longer available. Of course, despite the 764 name, it features the same upgrades as the other 760-series Zondas. It features a 7.3 liter AMG M120 V12 engine uprated to 760hp, this is some 90hp more than the Zonda Cinque and 20hp more than the Zonda R. It’s inspired by the Zonda R, however, the R’s 6.0 liter version of the M120 engine is not suitable for road use. In fact, that engine was lifted straight from the Mercedes-Benz CLK-GTR! We can only speculate on body components at the moment. We do know that the Zonda 760 RS got a set of bolt-on fender extensions along with an extra set of aerodynamic upgrades and a set of Cinque parts. The 760 RS featured rear wheels that measured 10 inches in width, increased to help deal with the extra power. Hopefully we’ll get to see the Pagani Zonda 764 Passione before it leaves the factory! The gallery features a set of pictures from the Zonda 760RS and the title picture shows the Zonda 750 which never got produced!